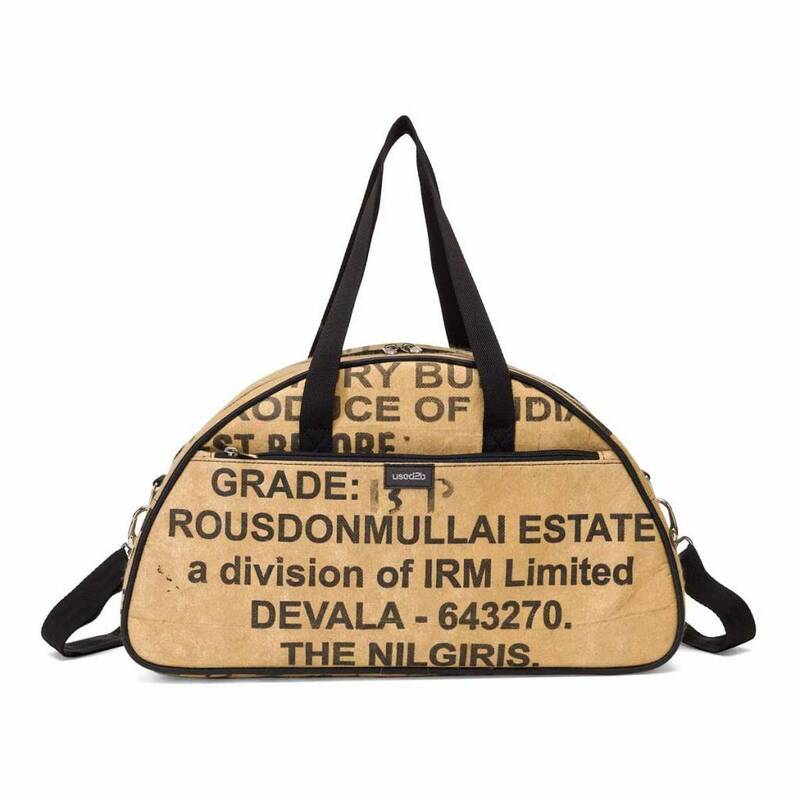 Upcycled Gym Grip Bag made from tea sacks features adjustable shoulder strap and dual carry straps. 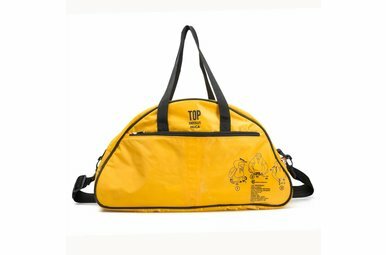 The used2b Gym Grip Bag is perfect for road trips, weekend getaways, overnight trips or daily use. 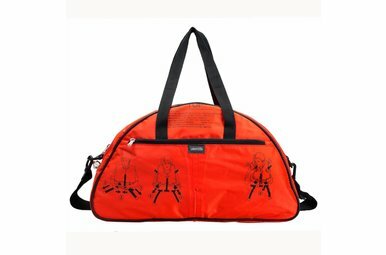 Multiple interior and exterior pockets and adjustable and removable shoulder strap. 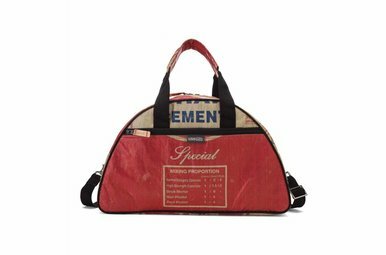 Use it as a carry-on or bring it with you to the Gym. The main compartment features pockets for phone, keys, pencils and notebook. Quick access front and back pockets keep the things you use the most close at hand. 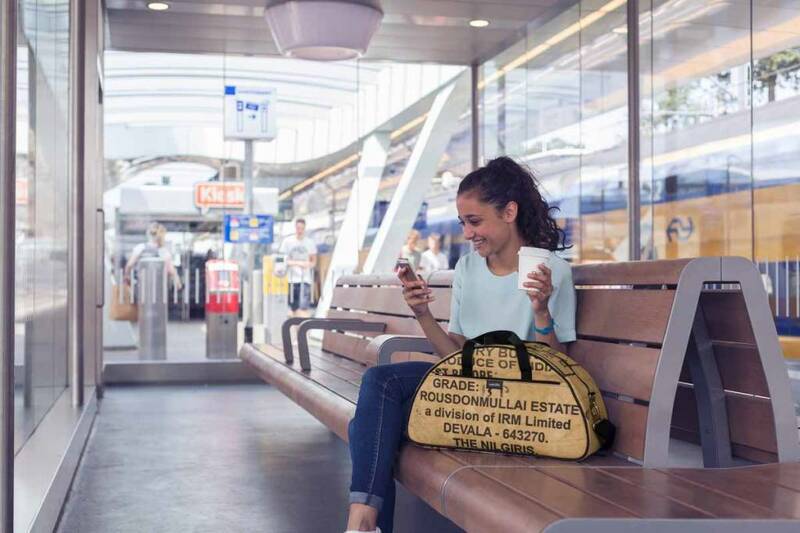 Everybody should have such an everyday bag that can be used with any outfit. 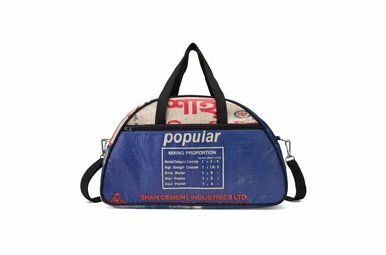 This authentic cement Gym Grip Bag can work for both men and women.